Home » Recipes » The Case of the Disappearing Peach and Blueberry Cobbler! 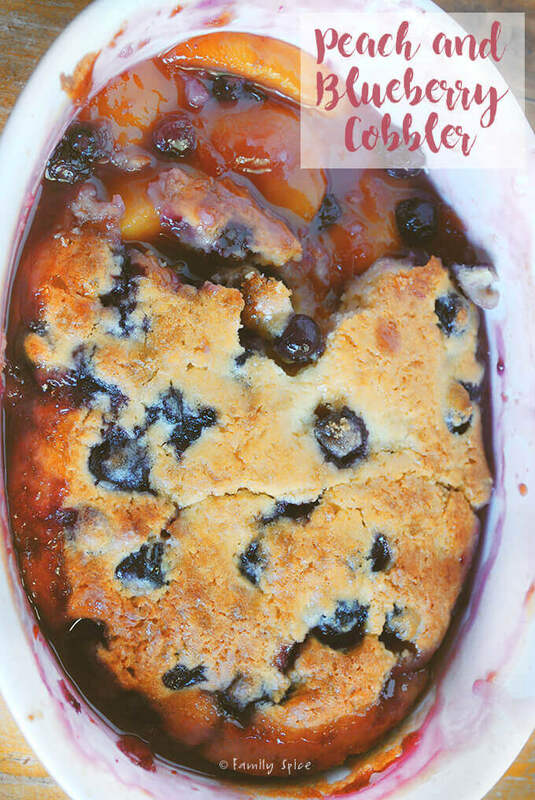 The Case of the Disappearing Peach and Blueberry Cobbler! 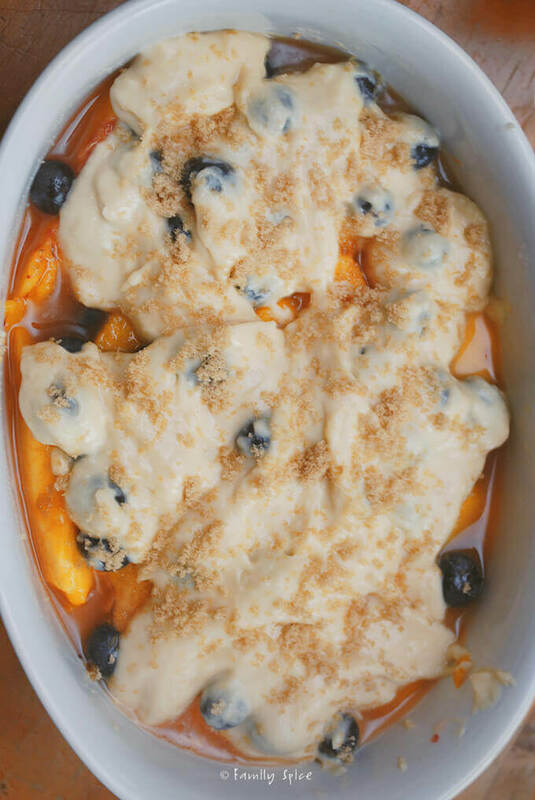 This Peach and Blueberry Cobbler pairs sweet summer peaches and plump blueberries with a lightly sweetened syrup topped with a sweet biscuit-like crust. I saw this recipe for Peach and Blueberry Cobbler and I knew I had to make it. I had a kitchen-full of sweet & juicy peaches and I just bought some giant blueberries. One problem. If I made it, I would eat all of it, especially since the kiddos don’t like cooked fruit. What am I to do? It took a day or two for me to get around to baking it. 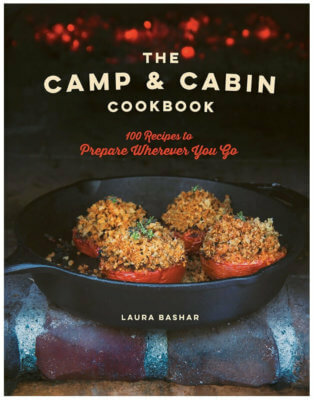 I quickly make the peach cobbler my top-priority and pop it in the oven. My friend is at school, picking up our kids. It’s her turn. By the time she returns from school and drops my kids off, I am busy taking pictures of the amazing cobbler. I took a couple bites to make sure it was up to my standards. Oh yeah baby, this is good stuff! I walk across the street and deliver the still-warm cobbler. Her kids are running to the kitchen and grabbing spoons. THEY don’t have a problem with cooked fruit. My friend and I laugh and I thank her for sacrificing herself by accepting this gift of the cobbler. She walks me to her front door. I walk back to my side of the street and return to my house. And I get a text. It’s all gone. The kids ate it while she walked me to the door. 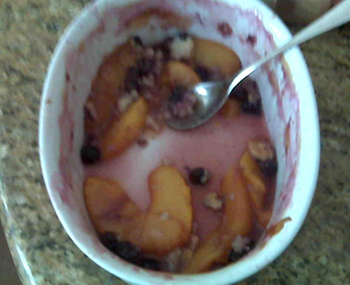 Now I owe my friend her very own PERSONAL Peach and Blueberry Cobbler. 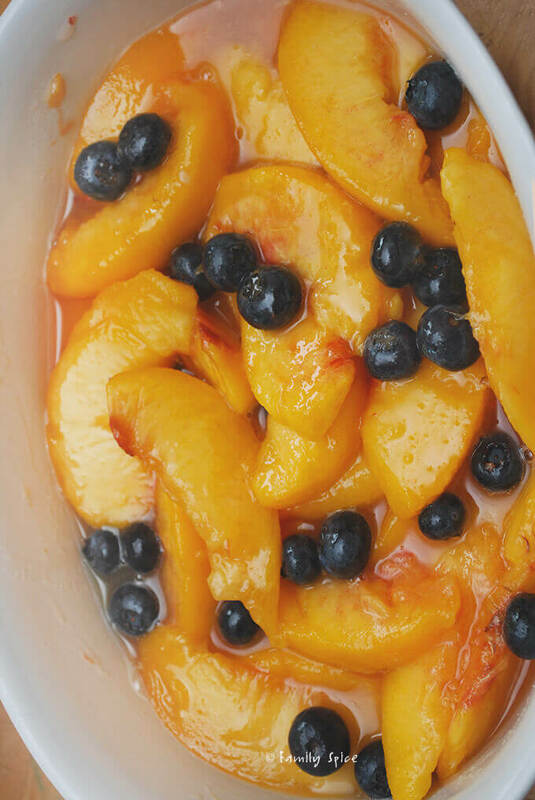 Arrange peach mixture evenly in a 9" x 13" baking pan. 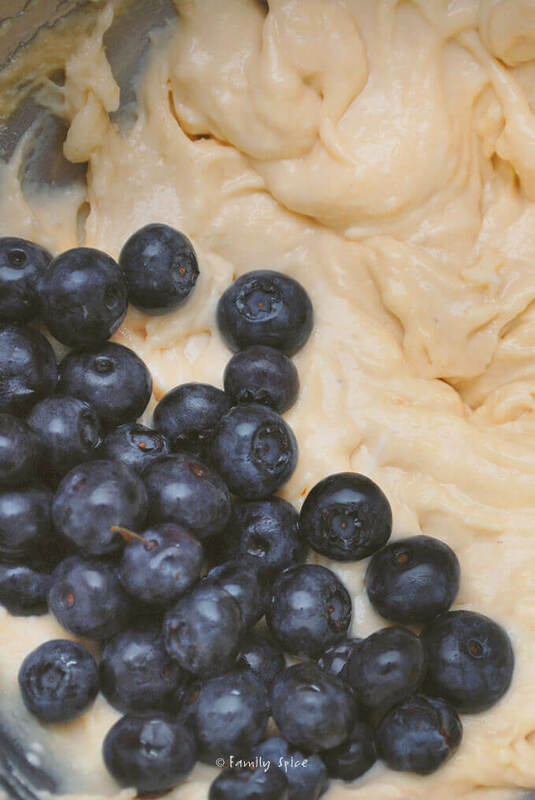 Beat butter and sugar with a mixer at medium speed until light and fluffy, about 2 minutes. Mix in one-third of the flour mixture into the butter mixture. Again, mix in another third of the flour mixture into the butter mixture. Mix in the last third of the flour mixture into the butter mixture, mixing until just combined. Do not over-mix. 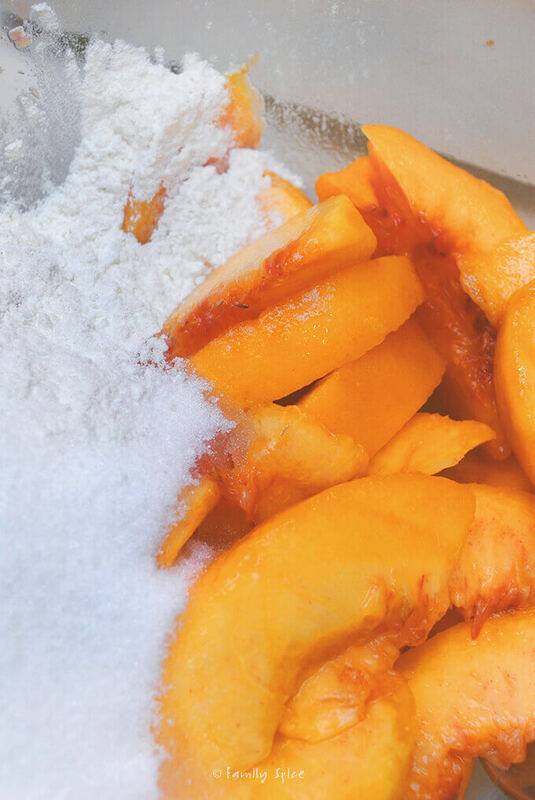 Spread batter evenly over the peach mixture. Place baking pan on a foil-lined baking sheet. Bake for 1 hour or until topping is golden and filling is bubbly. Serving Suggestions: Serve alone, or top with vanilla ice cream or whipped cream. Also try with apples or any other fruit combination. Cooking Tips: * Don't have buttermilk? Substitute with 1/4 cup of milk blended with 1/2 cup of plain yogurt.